Castor oil for blepharitis… could it work for you? When you contract blepharitis, what are your options? It can be worrisome and scary when your eyes become red, scratchy, and irritated, and you develop crust along your eyelashes. For people who are looking for more natural remedies as opposed to traditional antibiotics and medical treatments for this common eye condition, there is hope: castor oil for blepharitis is a natural remedy. Blepharitis is an inflammation of the eyelids. You’ll know if you have contracted this unique eye condition if you have dandruff-like scales that form along your eyelashes; if your eyes are red and itchy, that could be due to a multitude of problems. If you see crustiness and flaky patches, however, you should consult with your eye doctor as soon as possible. 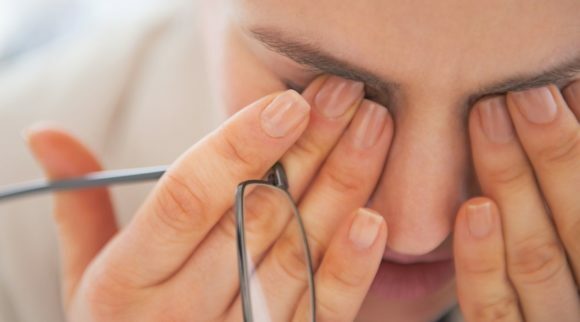 Although you do not need to be worried about losing or damaging your eyesight, blepharitis is often a chronic condition and you may have to deal with occasional flare ups. Knowing how to deal with these flare ups is essential for living with this condition. Blepharitis can impact people of all ages. Luckily, although it is uncomfortable, the condition is not contagious. 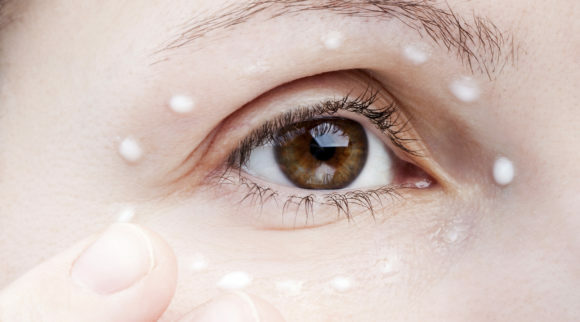 In many cases, incorporating good eye hygiene into your daily regimen can help you treat this condition and even prevent it from happening in the first place. By frequently washing your face, using a warm compress on your eyelids, and scrubbing your eyelids clean, you can be proactive about your eye health. Blepharitis may be combated through antibiotics and other medications that your ophthalmologist can prescribe. If you’re looking for natural treatments, however, look no further than castor oil. This is how the oil can help with your eye condition. Understanding how castor oil for blepharitis works starts by understanding what blepharitis is. Blepharitis can occur on either the upper or lower eyelids, and it typically impacts both eyes at once. Since the condition can be chronic, it’s essential that you know what to do and how to treat it when it flares up. It can create a blow to your self-esteem since everyone looks at your eyes and makes eye contact for conversation. If you have blepharitis, you’ll want for it to go away as soon as possible. There are different causes of blepharitis. The most common causes are the presence of bacteria, and a blockage of your meibomian glands. The oils from these glands are essential for moisture, lubrication, and for fighting off infections. This is why people who contract blepharitis also tend to contract other infections at the same time; your eye is missing that essential protection. If you contract blepharitis, you can treat the condition by either getting rid of harmful bacteria, or by easing the blockage in your meibomian glands. Castor oil, it turns out, is a natural remedy that may help with both of these issues. Try to keep your hands away from your eyes, as well. If you touch and rub the irritated area, a secondary infection may result. This can lead to inflammation of other eye areas, the worst of which is the cornea. Seek treatment and try to leave your eyes alone no matter how hard this may be. 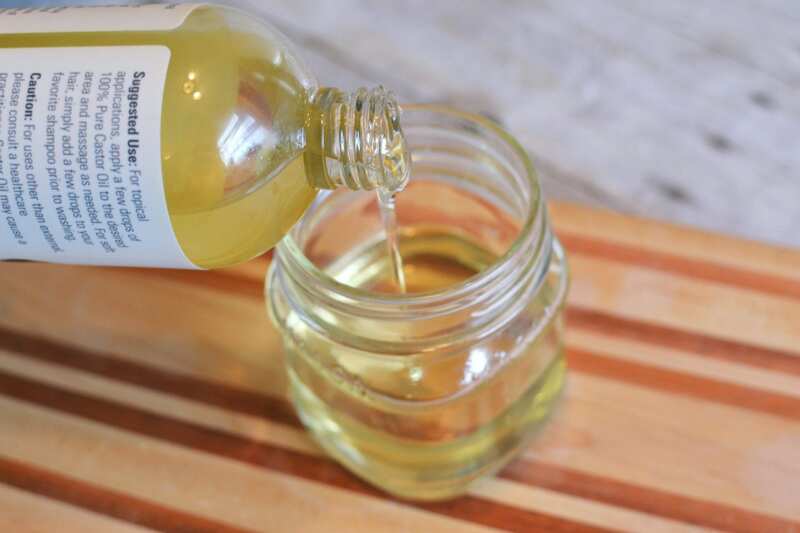 Castor oil is a vegetable oil that is translucent with a yellow tint. It’s used for a wide variety of medical and cosmetic purposes and holds many benefits for both the face and the skin. It comes from the seeds of the ricinus communis plant, which is found in tropical areas in Asia and Africa. It can be applied to the skin directly, or by using a cotton ball or cotton swab. Castor oil is relatively safe to use no matter your intention, but some people have reported side effects. 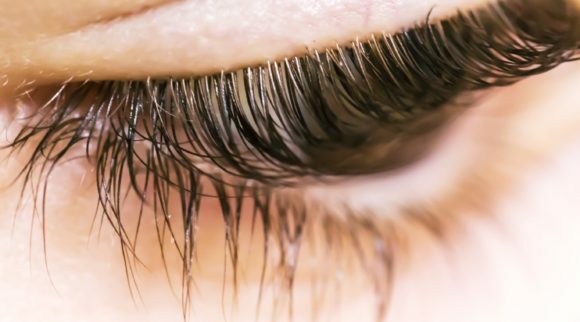 It is imperative that before you apply castor oil to your eyes or eyelashes directly, or even to your eye area, that you speak with your eye doctor. Your doctor will know which oils are safe, and how best to apply it for your condition. 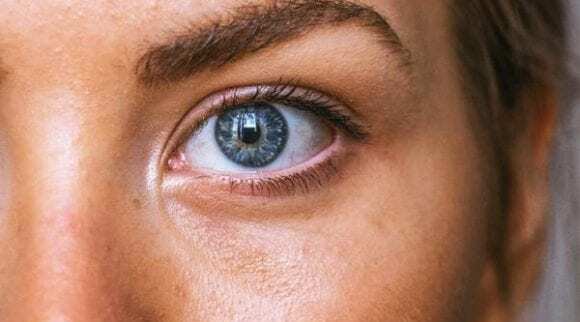 If you use castor oil for your eyes, you shouldn’t worry that you will contract these symptoms as these often occur in people who consume the oil orally. However, speak with your doctor to see if you are susceptible to any of these side effects and to discuss whether castor oil is the right and healthy choice for you. Contracting blepharitis can be very worrisome for many people, as it can be a chronic and seemingly uncontrollable eye condition. Blepharitis can be very uncomfortable and frustrating to deal with. On top of cumbersome symptoms, how do you begin to unclog the tiny oil glands that are located at the base of your eyelashes? How do you even begin treatment? Seeing doctors and applying a lot of antibiotics to your eyelids can seem daunting. To make matters worse, antibiotics are often only a temporary fix, and that’s if they work in the first place. A large amount of antibiotics can also end up wreaking havoc on your digestive system. Blepharitis is hard to control, and for people who are looking for natural ways to treat it, there is good news. Blepharitis can be successfully treated with natural remedies. Castor oil is a natural and holistic treatment for blepharitis. Take note that with any natural treatment, it’s always a smart idea to consult with your doctor first, discuss your options, and make sure it’s completely safe for you before you begin. Dryness. The unsaturated fatty acids of the oil help your eyelids retain moisture; one possible cause of blepharitis is that your meibomian glands aren’t working as they should, leading to dryness. 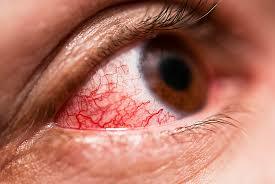 This dryness then leads to irritation, which makes the eye red, itchy, and painful. Inflammation. This redness and pain that you experience in your eyes is inflammation, and castor oil fights off inflammation. Inflammation is your body’s natural response to injury, and it is a factor in many chronic conditions. It’s the body’s attempt to heal itself and repair damaged tissue. Infection. Since your Meibomian glands secrete oils that prevent infections, it’s very common for people who have blepharitis to also get infections in the eye area. This is marked by the crusts that are commonly associated with blepharitis, which can seal your eyes shut, especially in the morning. Luckily, castor oil has anti-fungal and anti-bacterial properties. When applied, it can not only fight off infections, but also keep them from coming back. Castor oil for blepharitis works well for many people because it addresses these three issues. Its anti-inflammatory and antibacterial properties are natural components of the oil, you can apply it rest assured that it is a natural treatment. Using a simple dropper bottle. 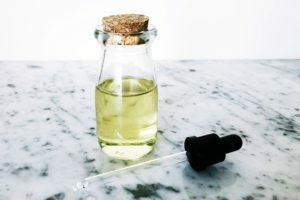 Some people use cotton swabs, but often, a dropper bottle is the better option for your oil because you can avoid touching your eyelid with another potential irritant like cotton. By dropping in the oil, you won’t touch your eyes, and you’ll also ensuring that the oil gets directly into your eye. Please ensure that you’re using a high quality, organic oil and expect blurred vision afterward. Put 1-2 drops of castor oil on your eyelid. Pour your oil into the dropper bottle and carefully apply drops on your eyelid. Blink several times to spread the oil around as best as you can. Use your clean fingertips where needed. Put on a sleep mask or something similar. This will help you avoid touching or scratching your eyes while you sleep; doing these things unconsciously can make the state of your condition much worse in the morning. If you use a sleep mask, take care to disinfect the sleep mask every day if your blepharitis is particularly bad. Disinfect it once every few days for normal use. Make this a consistent step in your nightly routine. You should continue to apply drops with a bottle and put on a sleep mask every night, even when you aren’t currently having a blepharitis flare up. This will help prevent blepharitis from showing up again in the future, and it is simply a positive care for your eyes that you should incorporate daily. 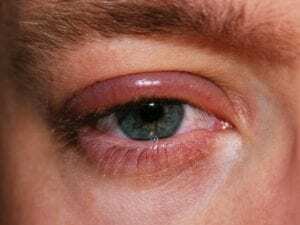 Is Castor Oil for Blepharitis Completely Safe for Eyes? The answer to this question is likely yes. Castor oil contains powerful fatty acids and antioxidants that benefit your eyes. However, you should always consult with a doctor before you begin using castor oil for blepharitis. Any natural remedy is something you should discuss with your eye doctor to make sure it’s completely safe. Your doctor may also have specific brand of oil that they will recommend for your blepharitis. Obviously, if you’re sensitive to castor oil, don’t use it! 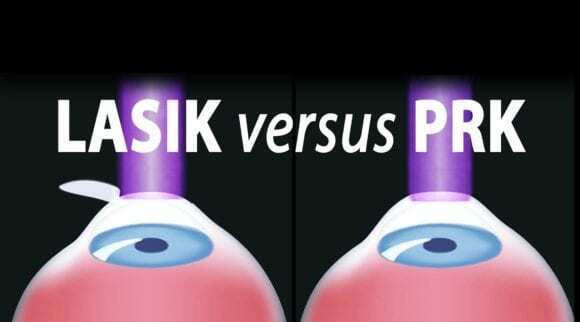 The main issues with eyes are with sterility and safety. These are extremely important factors when it comes to applying anything to your eyes or to even having it close to your eyes. If you have blepharitis, you need to take care not to damage your eyes even further and accidentally worsen your condition. It’s also best to not use just any type of castor oil; use safer products that were manufactured and made available particularly for your ailment. 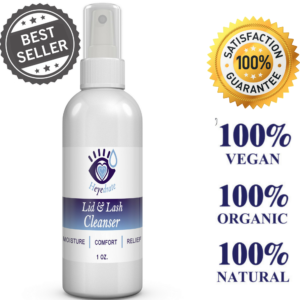 These products will be sterile and chemical-free. What Type of Castor Oil for Blepharitis is Best for Your Eyes? The American Academy of Ophthalmology doesn’t recommend the use of just any castor oil for your eyes. 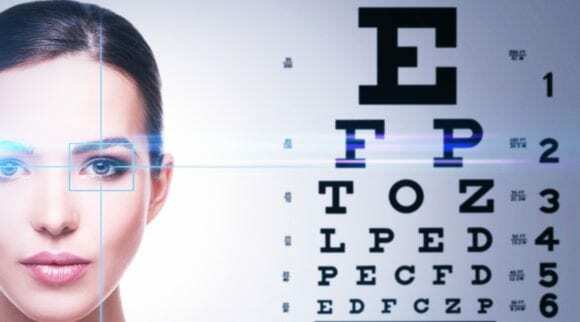 Typically, you should only buy what your optometrist or ophthalmologist recommends and prescribes for you. If you’re looking on your own, however, be aware that there are different types of castor oil. Before you even consider looking for a castor oil on your own, know that you have to make sure the oil is cold-pressed and hexane free. Cold pressing refers to oils that are obtained through pressing fruits or seeds with a modern steel press. Cold pressed oils retain all their nutritional benefits, making them great oils for skin care regimens. This is possible because the seeds are pressed without added heat. The method will keep all the maximum nutrients, and it comes in two varieties: refined and unrefined. Refined castor oil will have all impurities removed. Hexane is a substance that’s derived from petroleum and crude oil. It’s commonly used to chemically extract oil from castor seeds. Avoid castor oil with hexane. If you want to play it on the safe side, you should always seek out castor oil that’s cold-pressed and does not contain any hexane whatsoever. Your doctor will probably recommend the same. They may even recommend other varieties of castor oil for you, including pharmaceutical grade castor oil or sterile castor oil. 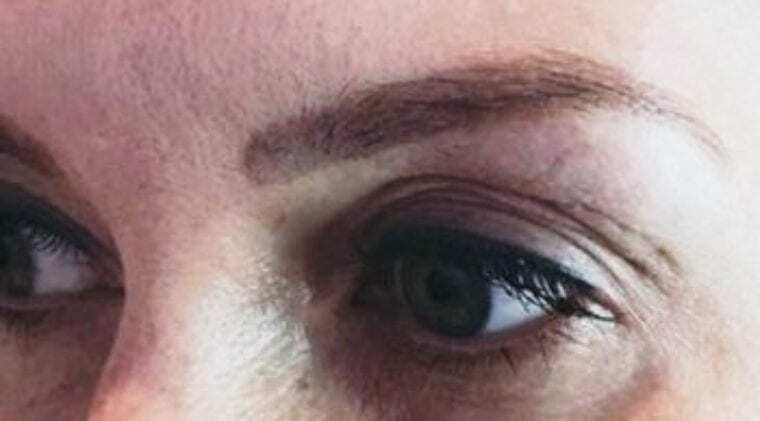 If you are being plagued by symptoms of blepharitis, the first thing doctors often prescribe are techniques that you can apply yourself to alleviate symptoms and aid the healing process. In fact, patient self-care plays a major role in the management of blepharitis, and it will most likely be suggested that you try these out first before moving on to other treatments. Start out with a warm compresses. Place it in the microwave for 10-20 seconds until warm. Test on your wrist for heat. Then place over your eyelids for 15-20 minutes. Second, massage the eyelids to express the meibomian glands you just heated. Click here for a video showing you how to safely express meibomian glands. Click here to purchase and read reviews on Amazon. 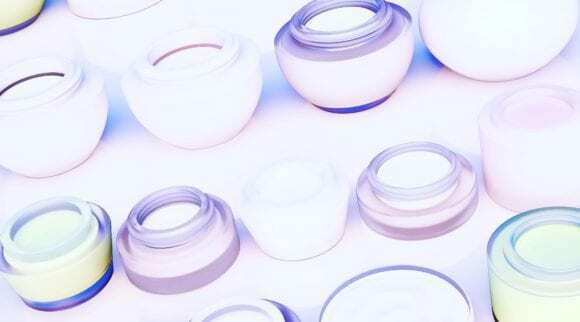 Using artificial tear solutions. Learn more about the best eye drops for dry eye here. Stopping or limiting the use of eye makeup, including eye liner, eye shadow, mascara, and eyelash extensions (or false eyelashes). If you do wear makeup, be sure to remove ALL of it at night with an oil based eye makeup remover. The suggestion to consume more fatty acids may be a surprising aspect, but these essential supplements carry anti-inflammatory effects. In fact, the reason why castor oil is such an effective natural treatment for blepharitis is because it contains fatty acids. By practicing the above, you may be able to treat your condition before turning to further remedies. Infections occur along your eyelids when bacteria that is commonly found on the face and the lids become excessive, or if the lid area reacts poorly to this bacteria’s presence. Take care to try to pinpoint the exact cause of your condition. This well help you find treatments, and the good news is that castor oil is a natural treatment for blepharitis no matter the cause. Castor oil is a remedy that can tackle many of the different reasons that lead you to developing the condition in the first place. Eye allergies. 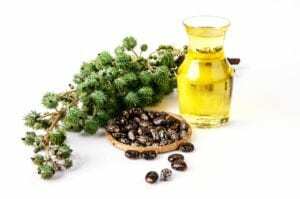 Castor oil encourages lipid production in the eyes as it also inhibits the evaporation of tears. This is what allows castor oil to help with dry eyes, which are a common symptom of allergies. The anti-inflammatory properties of the oil also help with redness. Bloodshot eyes. This condition is a severe form of redness and sometimes you can see red veins within your eyes. Castor oil works as a treatment because its anti-inflammatory properties can help ease the redness of bloodshot eyes. Cataracts. Castor oil may in fact supplement cataract treatments. 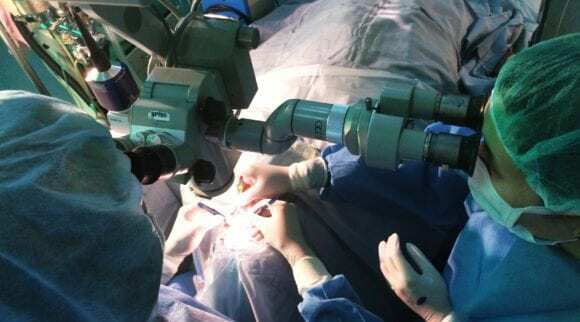 Severe forms of cataracts require surgery, and there is no other way to get rid of them. However, you can use castor oil to accelerate your recovery after you’ve had surgery, or even apply it before you undergo surgery in order to reduce the potential damage. Puffy eyes. Pouring a little bit of castor oil onto your fingertips, and then gently applying this to the puffed-up areas underneath your eyes before bedtime, may reduce puffiness. Repeat this every night and incorporate it into your nightly regimen. You can rub the oil between your fingers to warm it up, then massage underneath your eyes. Swollen eyes. Inflammation and swelling of the eyelids can be treated by the oleic acid in castor oil. This acid is an anti-inflammatory agent. Itchy and irritated eyes. Castor oil works incredibly well as a moisturizer. This can soothe your irritated eyes and help treat the itchiness. By applying oil and putting on something such as an eye mask, you can prevent yourself from touching your eyes and irritating them further. Wrinkles. Applying castor oil may reduce wrinkles around the eyes; the emollient properties of the oil can help. You can rub oil along your fingertips and apply to wrinkles. You don’t need to worry about rinsing it off, as the oil will be absorbed into your skin within minutes. Under eye dark circles. The fatty acids contained within castor oil will nourish the skin and lighten dark circles. Just as you apply oil for puffy eyes, merely rub oil between your fingertips and apply directly. If your vision turns cloudy after you apply oil, this will be brief and will subside by the time you wake up the next morning. It’s recommended that you use castor oil before going to bed, because this gives the oil enough time to carry out the healing process. It’s also best to apply oil in a situation where you can have your eyes closed for a long time afterward. If you wake up in the morning and find that crusts have formed around your eyes, don’t panic. This is nothing but the calcified deposits of some of the compounds that are in castor oil. You’ll be able to still open your eyes and can wash the crusts off very easily using the Heyedrate Lid and Lash Cleanser. The anti-inflammatory properties of castor oil, thanks to the oleic acid that’s an ingredient, reduces redness and swelling around the eyes, and the oil soothes the skin as it reduces wrinkles and fine lines. On top of beauty benefits, you can use castor oil to treat all of these common eye ailments. As a flaky inflammation of the eyelids, blepharitis can often be difficult to live with. People look at your eyes during everyday interactions, and sometimes the redness and flakiness can be embarrassing. As such, if you have this chronic condition, you’ll want to treat it as soon as possible and make sure that flare ups are controllable. For people who are looking for natural remedies when it comes to this common eye condition, the good news is that castor oil for blepharitis is a perfectly safe and effective natural treatment. 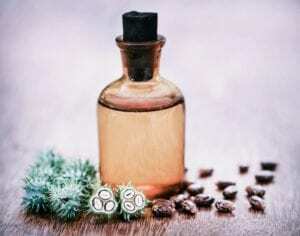 The fatty acids in castor oil offer many health benefits, and the oil is, in fact, used for a variety of ailments that don’t involve just the eyes. 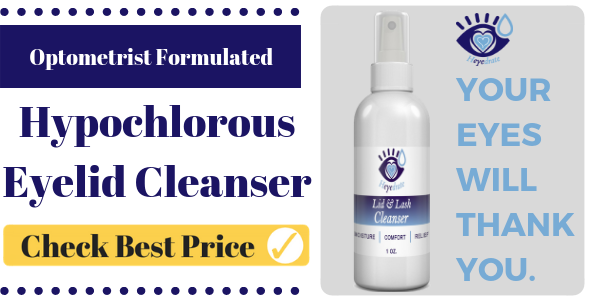 It’s an effective and inexpensive way to soothe your blepharitis symptoms, and all you have to do is put a few drops in your eyes at night and then sleep with an eye mask. Take caution as to which exact type of castor oil for blepharitis you use. Your doctor may prescribe you a specific kind, or you can purchase your own, but make sure you buy organic, cold-pressed oil that is free of hexane. That way, you don’t have to worry about chemicals as you take in all of the natural benefits the oil has to offer. As always, consult with your doctor before you begin applying castor oil to your eyes as a treatment for blepharitis. The oil is safe, but you’ll still want to discuss your options and potential risks. Rest assured, however, that if you’re looking for a natural solution, castor oil is one of the best options available for blepharitis.